Great shot of this Ferris Wheel! It's huge. 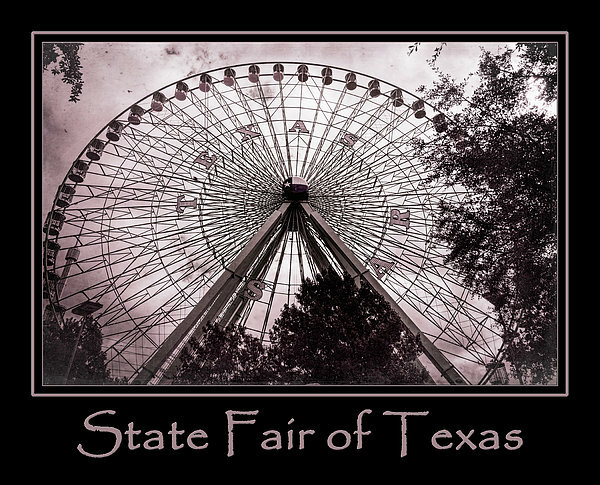 At about 20 stories high, Texas Star is the tallest Ferris wheel in North America. 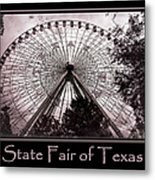 It is located at Fair Park in Dallas, Texas, and operates during the annual State Fair of Texas, where it is the most popular ride. The structure has an overall height of 212 feet (64.6 m) and can carry up to 264 passengers in its 44 gondolas. It has a speed of 1.5 revolutions per minute for approximately 12 minutes before your turn is over. At busy times, 1,320 people ride the Ferris Wheel each hour. Built by SDC Corp. in Reggio Emilia, Italy, at a cost of $2.2 million, it was shipped to Dallas for its debut at the 1985 State Fair of Texas. 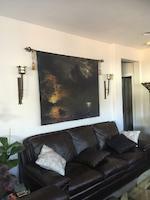 It was brought in sections through the Port of Houston and upon arrival in Dallas, it took eight weeks to assemble. The Texas Star requires a staff of 18 employees. The view is one of the things that entices people to ride on it. On a clear day, those on the Texas Star can see the downtown Fort Worth skyline some 40 miles away.